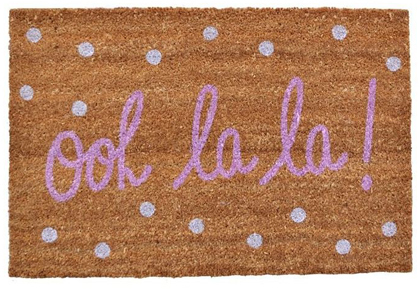 This Ooh La La Doormat features a feminine script and whimsical polka dots that will make you swoon. Made of 100% coir. $45. Buy here.